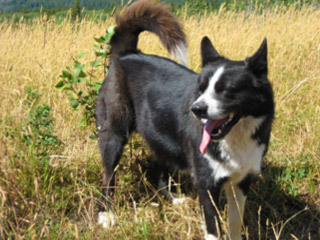 Fat Boy (a/k/a Stinky) was a Karelian bear dog who lived in East Glacier Park until his death of cancer on August 2, 2012. He was a fixture in our community and an unofficial ambassador who befriended visitors from around the world. Many referred to him as our mayor, and East Glacier has had no more beloved citizen. 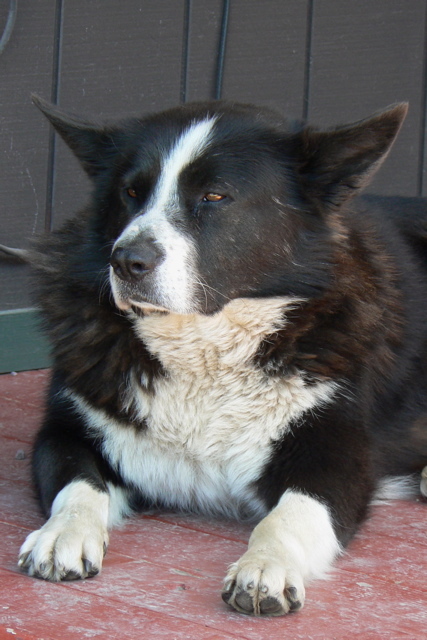 Fat Boy gave us years of companionship, protection, laughter, walks, and love. Now it’s our turn to give back, in his loving memory. Those who cared for Fat Boy at the end of his life also care for many other animals in our community: strays or abandoned pets who need foster care, food, medical care, and sterilization. Each summer we foster and find forever homes for many dogs who need our help. We have created a nonprofit organization named Friends of Fat Boy in honor of our favorite citizen. All proceeds benefit local animals. Donate online or come visit us at Brownies to make your donation in person and meet our canine family. Cash, checks, and money orders accepted. Please make payable to Brownies. Meet some of the many beautiful animals we have been happy to know and assist in the past few years! See the latest from our organization on Facebook!